THIS IS THE BAD!SLAM!NO!BISCUIT! INVITATION FOR FEBRUARY! It is The Poetry Slam because it gives you two minutes, two microphones, one stage, two and sometimes three MCs, one audience, one The Master of Conflict, one stage, one The Sound Guy, five Judges, one The Sacrificial Poet and more 1st prizes than you can currently know; all because we want your original words on stage, with no props and no music, all for glory. All where you can buy alcohol and this year with extra toilet options inside the Phoenix Pub! And we are not content with giving you all that so we also give you two feature acts! 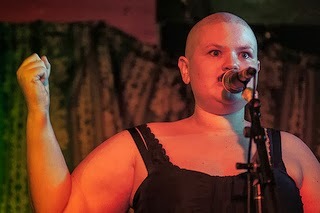 Jennifer Compton lives in Melbourne and has had work published all over the world and has read at many festivals. She is also a keen open miker and has been known to slam. Very, very gently. Her book, Barefoot (Picaro Press), was shortlisted for the John Bray Award at the Adelaide Festival in 2012. Canberra’s songwriter and singer, he’s the answer to a hard life, he’s a pirate, he’s the man who’ll give Stagger Lee a tasty present for Christmas, he’ll whistle into your heart, sweet Babylon– he’ll put a glowing moon in the cave of your heart, all because he is the sweet drivin’ man. And in memory of long departed Hadley (MAY HE REST IN PEACE) we bring you to fill The Hadley Memorial Slots, TO FILL THE HADLEY MEMORIAL SLOTS, we bring you Roshelle Fong. BAD!SLAM!NO!BISCUIT! Podcast Fifteen - Roshelle Fong - That Asian Mystique by BAD!SLAM!NO!BISCUIT! 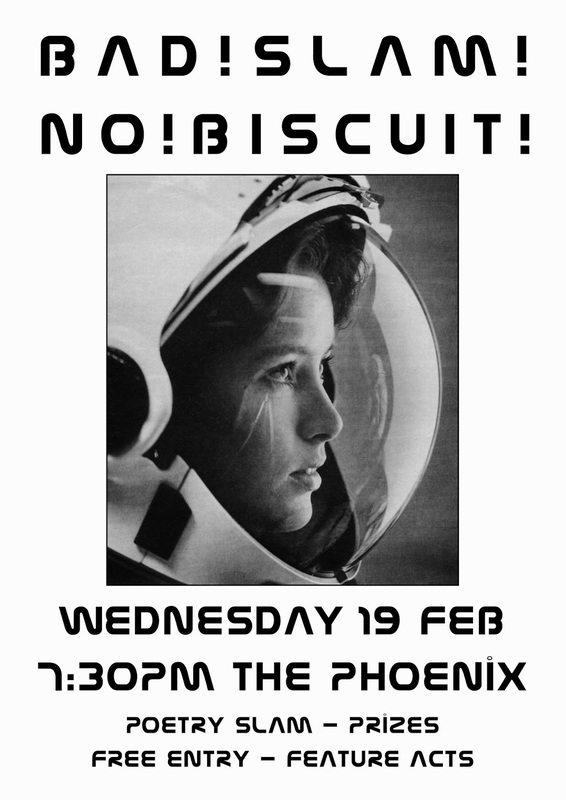 So join BAD!SLAM!NO!BISCUIT!, 7:30pm, The Phoenix Pub, Wednesday 19 February. 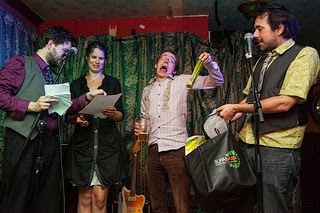 And remember, no props, no music, and your original words, for prizes!